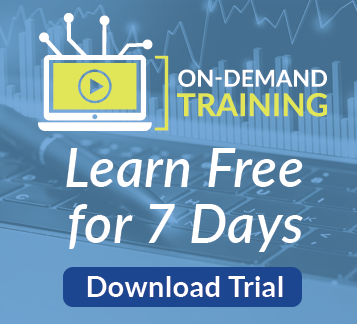 Interested in learning how Azure SQL Data Warehouse compares to the competition? Today I’d like to share some research about that comparison in performance and price. 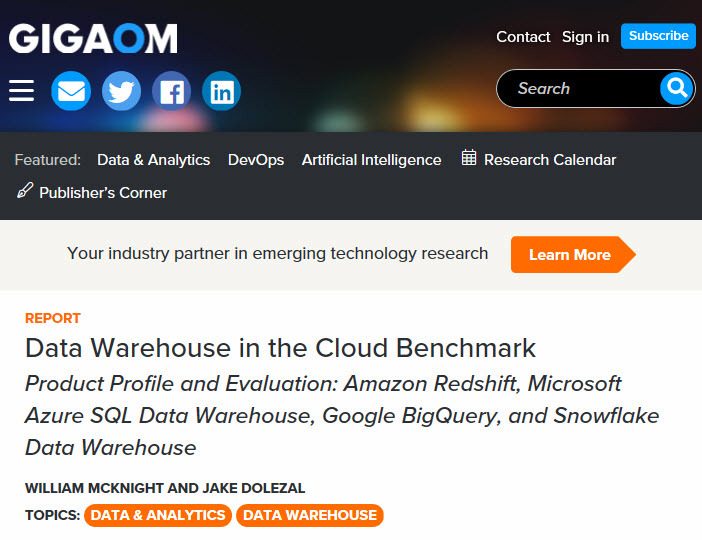 On Microsoft’s Azure SQL Data Warehouse product page, they compare their product’s performance and price against others based on a study by GigaOm. Below is an image of the webpage, but I encourage you to visit their website and read the full report of the study. For the research they compared Azure SQL Data Warehouse to Amazon Redshift, Google BigQuery and Snowflake. I’ll share a high-level summary some of the results. Looking at Amazon Redshift and you’ll see out of those 66 queries (22 queries over 3 different deployments), in 82% of the cases Azure SQL Data Warehouse outperformed Amazon Redshift. 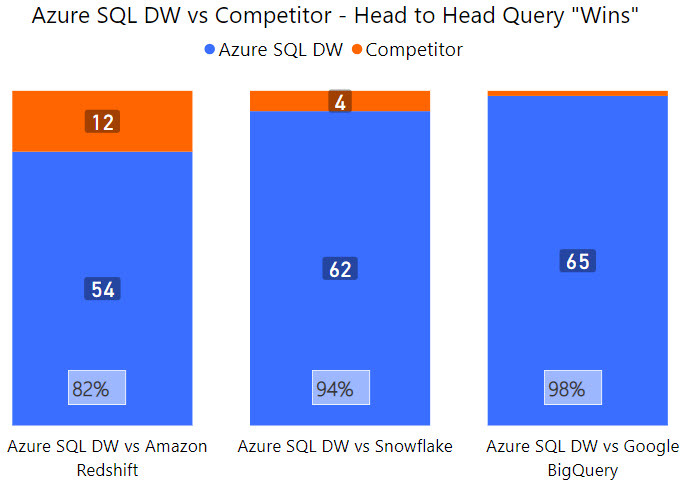 With Snowflake, in 94% of the cases the query executed faster on Azure SQL DW. 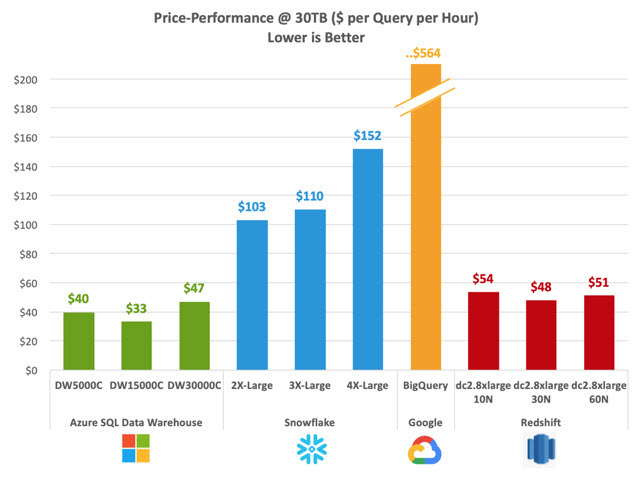 For Google BigQuery, only 1 of those 66 queries ran faster on Google BigQuery than on Azure SQL DW. So, you can see that based on pure performance Azure SQL Data Warehouse stood up incredibly well against those three competitors. Next, let’s talk about price. The way the price was computed here was taking the total duration of each of those 22 queries and extrapolating and figuring out how much it would cost to run the service for the time that it takes to execute these queries. Based on that (see below) you’ll see that Azure SQL DW was the least expensive of the 3 products tested and for the tiers that were tested. 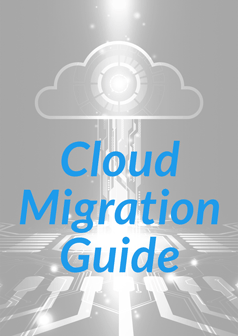 The point here is not only does Azure compete very well in performance but it’s also, in this case, the most economical. You’ll find a lot of interesting information in the study by GigaOm, so be sure to check out the full results, but I thought this was a key result that I wanted to share. 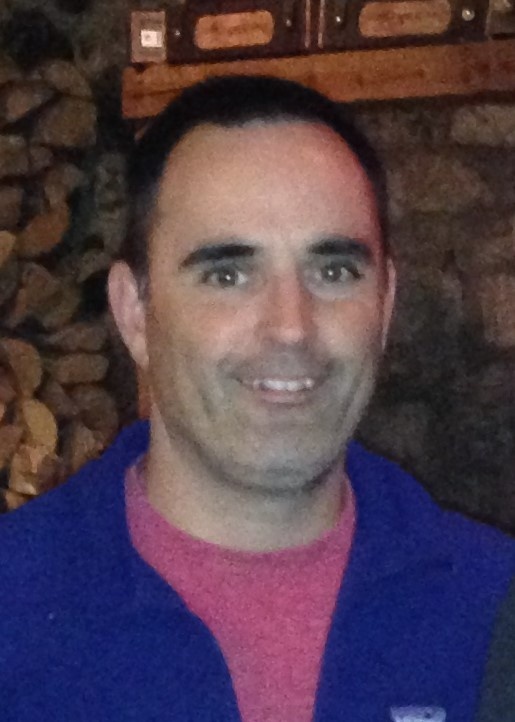 If you have questions about Azure SQL Data Warehouse or the Azure Data Platform, we’d be happy to help. Click the link below or contact us to start a conversation—we’re here to help you take your business from good to great.